Can’t complain about having too much work lately (and seeing the latest unemployment figures there’s nothing I can whinge about that would gain me any sympathy) and I’m off to Sydney again on Sunday for more World Parks Congress preparation with L’Agence des aires marines protégées (French Agency for Marine Protected Areas). 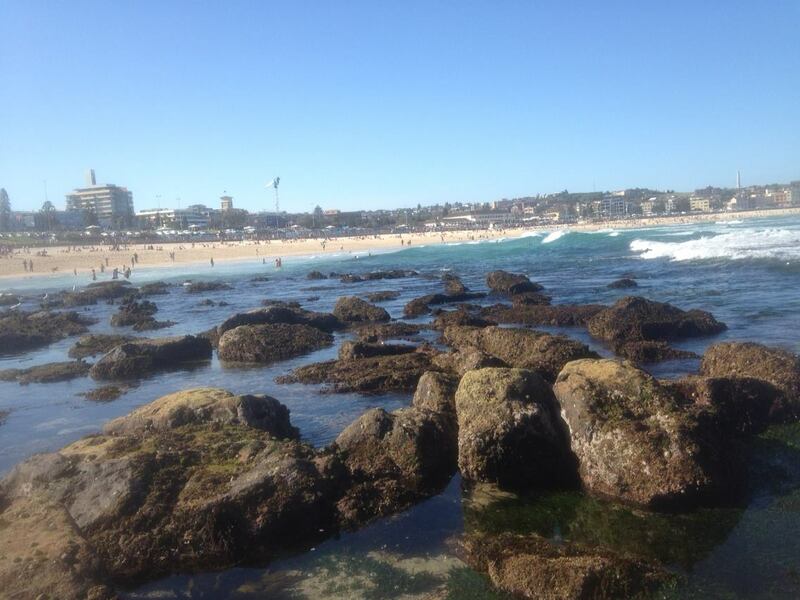 I was lucky to head down to check out Bondi Beach one afternoon between meetings and phone calls. Growing up in northern Sydney, Bondi was always seen as a tourist beach where us northerners never ventured – now I’m a tourist in my birthplace so can throw out those old preconceptions! Really looking forward to the Congress and meeting people from around the world who are keen on protecting our land and marine parks. I’ll be back there for three weeks in November, just after finishing my final exam of my Marine Biology degree!!! Hope to get the chance for a few beers to celebrate that and also the exciting news of scoring a new job in Melbourne. It will be sad to leave Warrnambool – anyone who has read this blog will get the idea I’m partial to living down here but with a six-month-daughter now in our lives and better job opportunities in the big city, it makes sense to head back there.